Relocating to a new house is stressful enough without having to worry about the logistics of an entire move. So when it comes to the heavy-lifting (literally), leave it to the professionals — professional movers, that is. Experienced Pearl River, LA moving companies consist of expert movers and packers who can efficiently pack, move and assemble your Pearl River belongings to ensure that you get off to a good start in your new home! 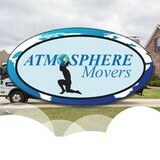 1-866-7MOVEME -- Atmosphere Movers is a Veteran owned, "Yes Ma'am, Yes Sir" moving company serving southeast Louisiana since 1998. We offer full service commercial + residential solutions, specializing in moving high valued items: pianos, art antiques. 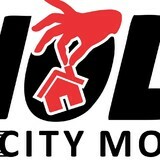 Nichols Moving & Storage Inc.
Our business is our livelihood but it is also so much more. Nichols Moving & Storage Inc. was started to fill in a void in the current market and to make a business that people can place their trust in. Over the years we have never lost our commitment to our clients and that is what has allowed us to succeed in a very competitive industry. The employees of Nichols Moving & Storage Inc. stand committed to our purpose and will provide the best service! Lee Moving & Storage offers home moving and packing, corporate relocation, and storage services in New Orleans, LA. 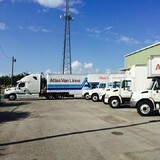 As part of the Atlas Van Lines network, we can help you move anywhere in the world, a different state, or even just across town. In addition to home moves, we also specialize in office moving. Our over 60 years of experience, extensive resources, and relationships with office furniture suppliers make our office moves go smoothly. We have also invented and patented moving equipment to help move special products such as medical equipment, safes, telecommunication equipment, and fine art. Established in 2015. Traditionally, college age students are largely employed by the food service and retail industries. 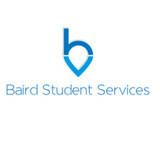 Baird Student Services provides college students with the opportunity to exercise their skills in a variety of fields that typically only hire older adults. We offer a variety of services, including moving, landscaping, and babysitting to both the New Orleans and Baton Rouge areas.